Essential girls and boys sleepwear and underwear, designed for exceptional quality, personality and fun. Trusted apparel partner to help bring to life iconic stories and characters in kids, juniors and grown ups too! Our women's brands are not only trendy and versatile, but also premium quality and oh so comfortable! Our men's brands offer a complete assortment of sleepwear, loungewear and underwear for comfortable living in all seasons. Family is the centerpiece of our lives. 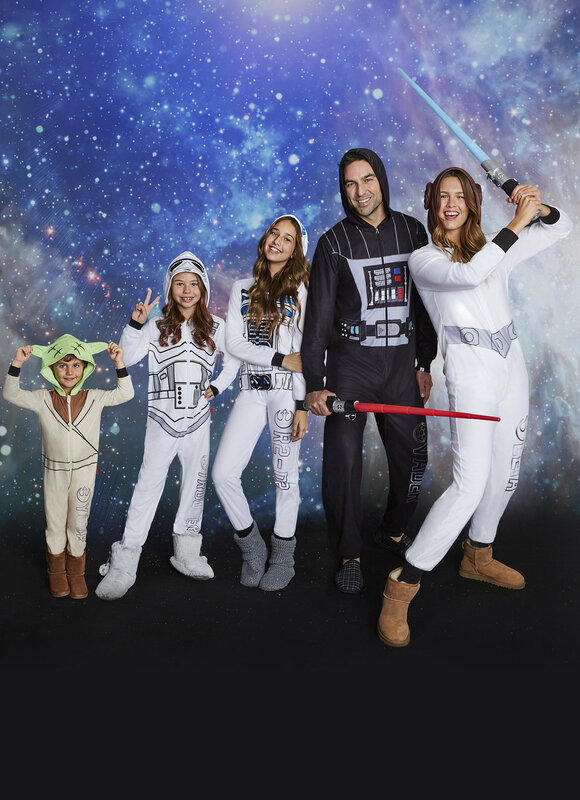 This is why we love creating unique collections of matching family pajamas. Life is a party and even bedtime deserves a fashion sense! This is our motto here at Jellifish Kids, and it is the reason why each collection is designed with a dose of personality using comfy fabrics in trendy bright prints and colorful graphics. Feminine, figure-flattering silhouettes feature clean on-trend designs that are sure to please the modern woman. We collaborated with Lauren Riihimaki to create an adorable onesie collection with unmistakable flair. These hugely popular styles are super soft and perfect to snuggle in! Perfect night's sleep with our premium sleep wear! Gloria Vanderbilt, best known for its best in class fit and colored bottoms and Jeans has expanded beyond denim and bottoms to include comfortable premium sleep wear and lounge wear. Timeless style and comfort for men! Our lounge wear is designed with passion for the best quality using great fabrics that match the iconic and respected Haggar name. Your favorite NHL team's sleepwear! If you're looking for the best in authentic and officially licensed NHL gear, you probably already know about our great NHL sleepwear collections. Super comfortable and perfect for watching the game from home!